The cries from the unknowing public is BAN THEM and RETURN THEM TO THE WILD or SEND THEM TO SANCTUARY! And that is what I am about to inform you about. Facts and strictly the facts. This year alone there have been three attacks involving big cats. Two were fatalities, one was not with the worker returning to work within weeks. This has been far more in this year alone than over the previous twenty years where the average was less than one. Two were at private facilities that I personally know as professional parks that follow safety to a tee. And in all three instances, the victim broke protocol. Rules are there for a reason. The latest one was at a “sanctuary” That was accredited by two national accreditation organizations for sanctuaries. My point is, that no matter the name and function of a big cat facility, it does not change the residents. The big cats are big cats. Sending an animal from one place that knows the animal, has housed that animal and has a bond with that animal, and thrusting them into an unknown place to that animal (that are often ran as non profits, so are asking for donations all the time) and unfamiliar people is akin to creating the perfect storm. So how is that better? Or even SAFER for all involved? Simple answer. IT ISN’T. When you uproot an animal from what or all it has ever known, you change that animals whole world. And in this person’s honest opinion, if that animal was used to being doted on, loved on, then thrown into a situation where they are treated as a “wild animal” you will be changing that animals whole being. I have seen situations where even placid animals, at their original home, have turned either depressed, (which can sometimes lead to systemic problems with the overall health of the animal) to where the animal turns out down right vicious. What other way do they have to communicate their feelings? Also let me clarify that the definition of a non profit organization is simply a tax status. Plain and simple. To be a non profit 501(c)3 one does NOT have to prove knowledge of what field one is entering into. In other words, if you fill out the paperwork properly, show the IRS that there is a need for your organization, no matter your experience in that field (such as the care and upkeep of big cats) then you can get your tax exemption. So how does a sanctuary qualify as a better home than a private home or facility? Again, simple answer. IT DOES NOT. Lastly, let me hit upon the fact that to the unknowing public big cats belong in the wild and the should be returned there. Well, in a perfect world that would be WONDERFUL! 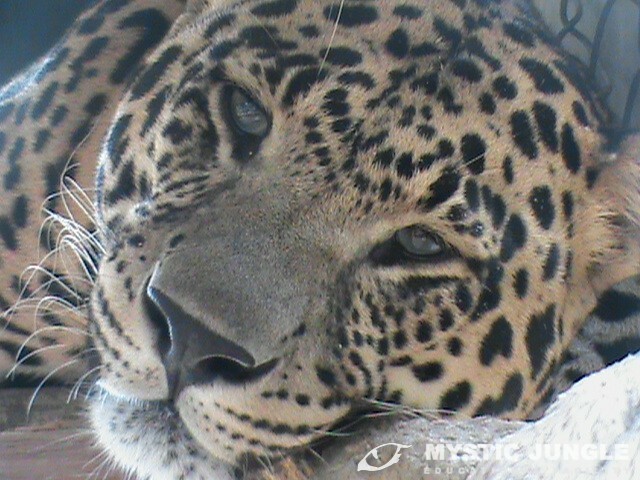 That is our dream here at Mystic Jungle. But we try to educate people that there are these important facts that the public does not know nor understand. 1. The big cats in captivity today, in private facilities, and yes zoo’s are the direct result of over fifteen generations of captive breeding programs. The cats in captivity here today have not seen the wild, nor have their parents, nor their parents parents etc. 3. There has been no importation/exportation of rare and endangered species from the wild since the induction of CITES ( Convention of International Trade of Endangered Species) in July of 1975. This is great except that we also cannot ship out of the US to other countries at this point. But hopefully one day, we will be able to. So what wild are people talking about? Where are we ripping them from their homes? Again, the answer is simple. We are not. We as keepers, facility owners know the inherent risks involved while working with these cats. We chose this path to help preserve, conserve a species and above all educate the masses at the very real possibility of their permanent loss to the world. No one is asking the average person to walk in our shoes. But, please, if you do not understand the elements involved in a industry, ASK QUESTIONS. PLEASE. I have personally seen the ramifications of ban laws and in fact, the very laws that were placed to protect the animals resulted in their deaths. Ohio is a prime example. They have a prison there built in anticipation of the animals that they will seize, due their unreasonable laws they put down. And just what do people think will happen to these animals once they are within these walls? Concrete and steel. Not outdoor enclosures, no familiar face that the cat can chuff, purr, saw or roar at.. just cold steel and concrete. They did not out right ban. They made it impossible for a lot of people to comply. Separating families, and killing animals. Shame shame on Ohio. Before jumping on the BANwagon, investigate. Ask questions. GO VISIT facilities that you may have questions about. Although we are not open to the public, we are open, honest and do provide free, guided tours by appointment based on availability. We are a sanctuary in the aspect that we provide forever homes to the animals that arrive here through no fault of their own and 99% of the time, no fault of the owner. In fact, a lot of our animals arrived here due to ever changing law forcing owners to give up their beloved family member and they chose us because we do NOT release the names of the prior owners, nor do we bash the prior owner. Our focus is the animal and if we bash owners, then the next one in a bind, may hesitate to come to us for help until it is too late. How is that helping? Why are we not self titled as a sanctuary? Because we have and would do so again if given the opportunity bred the Asian/Indian leopard and true sanctuaries do NOT breed. And in closing I have to add, that sanctuaries here in the US, (none to my knowledge) do not contribute to conservation. We here, are trying to preserve the precious DNA of the leopard, in the hopes that maybe, one day, their children will have a chance in their native land.